The 2012–13 UEFA Europa League was the 42nd season of Europe's secondary club football tournament organised by UEFA, and the 4th season since it was renamed from the UEFA Cup to the UEFA Europa League. The Amsterdam Arena hosted the final. The final was played at the Amsterdam Arena in Amsterdam, Netherlands. It was contested on 15 May 2013 between Portuguese club Benfica and English club Chelsea, who entered the competition at the Round of 32 after they finished in third place in the group stage of the 2012–13 Champions League. Chelsea won the final 2–1 for their first Europa League title, making them the fourth club – after Juventus, Ajax and Bayern Munich – to have won the three major UEFA club titles (Champions League, Europa League and Cup Winners' Cup). The cup winners of the six top-ranked associations had direct access to the UEFA Europa League group stage. This allocation of slots has a direct impact on the qualification path, and adaptations were made to the access list in order to accommodate these changes. Matchdays 5 and 6 were no longer held on exclusive weeks, but instead were played on the same weeks as Matchdays 5 and 6 of the UEFA Champions League. Atlético Madrid were the defending champions, but were eliminated by Rubin Kazan in the Round of 32. The winners of the 2011–12 UEFA Europa League are given an additional entry as title holders if they do not qualify for the 2012–13 UEFA Champions League or Europa League through their domestic performance. However, this additional entry is not necessary for this season since the title holders qualified for European competitions through their domestic performance. For the 2012–13 UEFA Europa League, the associations are allocated places according to their 2011 UEFA country coefficients, which takes into account their performance in European competitions from 2006–07 to 2010–11. The title holders, Atlético Madrid, were guaranteed a place in the Europa League group stage, since they did not qualify for the Champions League. However, they also qualified for the group stage through their domestic performance, as they finished fifth in the 2011–12 La Liga and Champions League-qualified Barcelona won the 2011–12 Copa del Rey. As a result, this spot in the group stage was vacated. Only 14 losers (instead of the default 15) from the 2012–13 UEFA Champions League third qualifying round entered the Europa League play-off round. The domestic cup winners of association 7 (Russia) were promoted from the play-off round to the group stage. The domestic cup winners of associations 16 and 17 (Switzerland and Israel) were promoted from the third qualifying round to the play-off round. The domestic cup winners of associations 19 and 20 (Austria and Cyprus) were promoted from the second qualifying round to the third qualifying round. The domestic cup winners of associations 33, 34, 35 and 36 (Moldova, Lithuania, Latvia and Georgia) were promoted from the first qualifying round to the second qualifying round. The domestic cup runners-up, provided they have not yet qualified for European competitions, qualify for the Europa League as the "lowest-placed" qualifier (with the earliest starting round), with the other Europa League qualifiers moved up one "place". Otherwise, the highest-placed team in the league which have not yet qualified for European competitions qualify for the Europa League, with the Europa League qualifiers which finish above them in the league moved up one "place". For associations where a Europa League place is reserved for the League Cup winners, they always qualify for the Europa League as the "lowest-placed" qualifier (or as the second "lowest-placed" qualifier in cases where the cup runners-up qualify as stated above). If the League Cup winners have already qualified for European competitions through other methods, this reserved Europa League place is taken by the highest-placed league team in the league which have not yet qualified for European competitions. ^ a b Czech Republic (CZE): Sigma Olomouc, the 2011–12 Czech Cup winner, were initially to enter the third qualifying round of the Europa League. However, UEFA banned them from participating in Europa League over the club’s involvement in a corruption scandal. As a result, Sparta Prague, the second-placed team of the 2011–12 Gambrinus liga, entered the Europa League third qualifying round instead of the second qualifying round, and Mladá Boleslav, the fourth-placed team of the league, took one of Czech Republic's Europa League places in the second qualifying round. ^ England (ENG): Tottenham Hotspur, the fourth-placed team of the 2011–12 Premier League, were initially to enter the 2012–13 UEFA Champions League. However, as Chelsea, the sixth-placed team of the league (who would have entered the Europa League at the group stage as winners of the 2011–12 FA Cup), won the 2011–12 UEFA Champions League, they automatically qualified for the following year's competition as title holders, and because of the restriction that no association can have more than four teams playing in the Champions League, Tottenham Hotspur instead entered the 2012–13 UEFA Europa League group stage. ^ a b c Greece (GRE): AEK Athens, the third-placed team of the 2011–12 Superleague Greece, could not get a UEFA license to compete in the 2012–13 UEFA Europa League due to financial problems. As a result, Atromitos and PAOK, the fourth and fifth-placed teams of the league, entered the Europa League play-off round and third qualifying round instead of the third and second qualifying rounds respectively, and Asteras Tripolis, the sixth-placed team of the league, took Greece's Europa League place in the second qualifying round. ^ Hungary (HUN): Győr finished third in the 2011–12 Hungarian National Championship I, but they were not eligible to enter the 2012–13 UEFA Europa League, due to having been suspended from participating in UEFA competitions (for the first season they qualify between the 2011–12 and 2013–14 seasons), in relation to club licensing violations. As a result, Honvéd, the fourth-placed team of the league, took one of Hungary's Europa League places in the first qualifying round. ^ Republic of Ireland (IRL): Because Derry City, the third-placed team of the 2012 League of Ireland Premier Division, went into liquidation two years ago, which led to a European ban for three years (and were thus refused entry to the 2012–13 European competitions by UEFA), Bohemians, the fifth-placed team of the league, claimed the Europa League spot in the first qualifying round. ^ a b Scotland (SCO): As a result of second-placed Rangers' administration and eventual liquidation, Motherwell, the third-placed team of the 2011–12 Scottish Premier League, took Scotland's Champions League place in the non-champions path, instead of entering the Europa League third qualifying round, and consequently, Dundee United, the fourth-placed team of the league, entered the Europa League third qualifying round, instead of the second qualifying round, and St Johnstone, the sixth-placed team of the league, took Scotland's Europa League place in the second qualifying round (as the fifth-placed team, Heart of Midlothian, already qualified for the Europa League as winners of the 2011–12 Scottish Cup). ^ a b Turkey (TUR): Beşiktaş, the fourth-placed team of the 2011–12 Süper Lig, have been banned by UEFA from competing in the 2012–13 UEFA Europa League, due to financial problems. As a result, Bursaspor, the fifth-placed team of the league (as well as the runners-up of the 2011–12 Turkish Cup), entered the Europa League third qualifying round, instead of the second qualifying round, and Eskişehirspor, the sixth-placed team of the league, took Turkey's Europa League place in the second qualifying round. Bursaspor were also initially banned from entering the Europa League, but this was overturned by the Court of Arbitration for Sport. 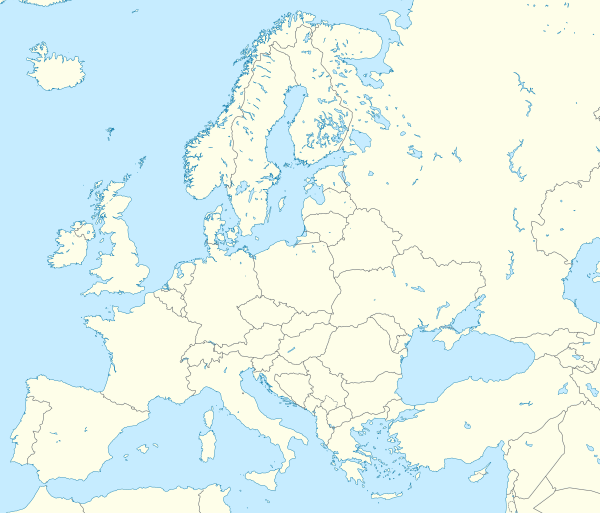 ^ Wales (WAL): Neath, the third-placed team of the 2011–12 Welsh Premier League, has been refused the UEFA license by the License Appeal body and was ineligible to participate in the end-of-season UEFA Europa League play-offs that were won by Llanelli. All draws are held at UEFA headquarters in Nyon, Switzerland unless stated otherwise. In the qualifying rounds and the play-off round, teams were divided into seeded and unseeded teams based on their 2012 UEFA club coefficients, and then drawn into two-legged home-and-away ties. Teams from the same association could not be drawn against each other. The draws for the first and second qualifying rounds were held on 25 June 2012. The first legs were played on 3 and 5 July, and the second legs were played on 10 and 12 July 2012. Note 1: Order of legs reversed after original draw. The first legs were played on 19 July, and the second legs were played on 26 July 2012. Note 2: Order of legs reversed after original draw. The draw for the third qualifying rounds was held on 20 July 2012. The first legs were played on 2 August, and the second legs were played on 9 August 2012. Note 3: UEFA awarded Mura 05 a 3–0 win due to Arsenal Kyiv fielding suspended player Éric Matoukou in the first leg. The original match had ended in a 3–0 win for Arsenal Kyiv. Note 4: Order of legs reversed after original draw. Note 5: The match was abandoned in the 82nd minute due to crowd disturbance. Dila Gori was leading 3–0. That result was confirmed standing by UEFA. The draw for the play-off round was held on 10 August 2012. The first legs were played on 22 and 23 August, and the second legs were played on 28 and 30 August 2012. Note 6: Order of legs reversed after original draw. Location of teams of the 2012–13 UEFA Europa League group stage. The draw for the group stage was held in Monaco on 31 August 2012. The 48 teams were allocated into four pots based on their 2012 UEFA club coefficients, with the title holders, Atlético Madrid, being placed in Pot 1 automatically. They were drawn into twelve groups of four, with the restriction that teams from the same association could not be drawn against each other. In each group, teams played against each other home-and-away in a round-robin format. The matchdays were 20 September, 4 October, 25 October, 8 November, 22 November, and 6 December 2012. The group winners and runners-up advanced to the round of 32, where they were joined by the eight third-placed teams from the 2012–13 UEFA Champions League group stage. A total of 25 national associations were represented in the group stage. See here for tiebreakers if two or more teams are equal on points. In the draw for the round of 32, the twelve group winners and the four third-placed teams from the Champions League group stage with the better group records were seeded, and the twelve group runners-up and the other four third-placed teams from the Champions League group stage were unseeded. The seeded teams were drawn against the unseeded teams, with the seeded teams hosting the second leg. Teams from the same group or the same association could not be drawn against each other. In the draws for the round of 16 onwards, there were no seedings, and teams from the same group or the same association could be drawn against each other. The draws for the round of 32 and round of 16 were held on 20 December 2012. The first legs were played on 14 February, and the second legs were played on 21 February 2013. The first legs were played on 7 March, and the second legs were played on 14 March 2013.